There is a saying in the web community when it comes to web design: WYSIWYG. This stands for: What You See Is What You Get. In a majority of cases – theme developers sell themes that have to be rebuilt from scratch to imitate what inspired a customer to buy via the marketplace. You have to download dummy text, populate your theme with all of the presets, and hope that the functionality that inspired you to buy the theme will cross over from your purchase. This can be taxing of time and a big headache. We’ve seen a lot of “drag and drop” builders come and go. Some like Wix and SquareSpace have stayed, but even these builders have their limits. You never own the content, and if you ever decide that you need to move, you can’t because you technically don’t own the website that you built. It seems that there are only two options with websites being built. You hire a designer and pay upwards of $5000, or build on the limited infrastructure of website builders like Wix, but surrender the right to all of your content and data. It seems like customers have no more than these two options. Except, there is now something called BoldGrid. Here is detailed Review of BoldGrid. 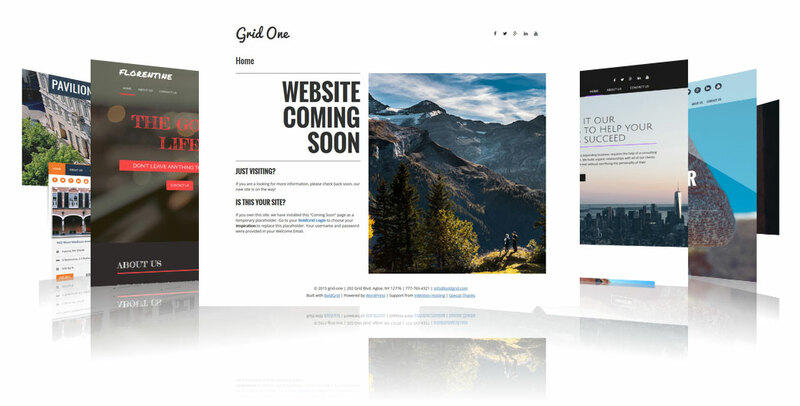 In short, BoldGrid is a drag and drop web builder built on WordPress – the one of the most popular and largest CMS’ on the web. With that, let’s get into what it can do by visiting some of the features that it hosts. The creators of BoldGrid wanted the user to start without worrying too much about content, and getting stuck at “Hello, World.” That’s why they pre-built themes for specific industries – such as real estate, photography and more. This is one of the greatest features that makes BoldGrid a huge value add. This was one of the best features we saw on BoldGrid. The true “WYSIWYG” was put to the test with the new grid blocks. Essentially, the user is allowed to edit “on page” and they can see exactly what they are editing on the spot. Change copy, size, and color immediately. 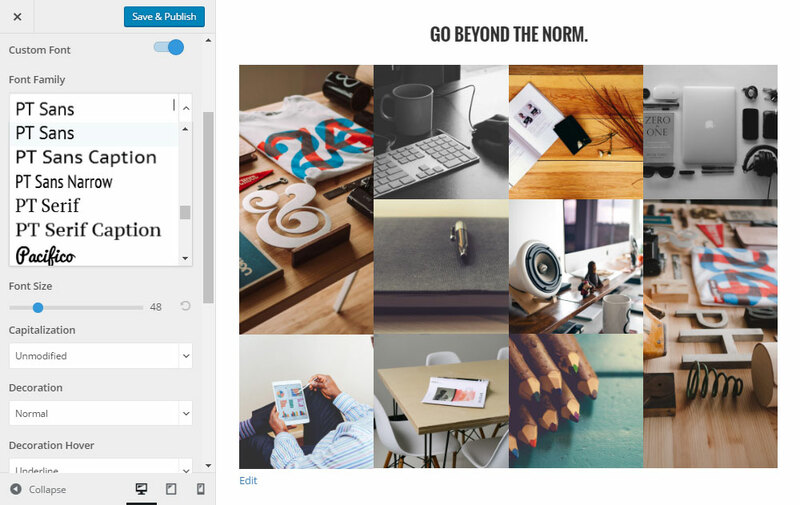 Another brush of convenience is that fact that BoldGrid is integrated with Flickr and Fotolia. You can either use the free photos that are provided by those services or buy “coins” for a few dollars and buy professional photos instantly. This really helped us save time and allowed for us to focus on building the site instead of browsing for hours on wikicommons. 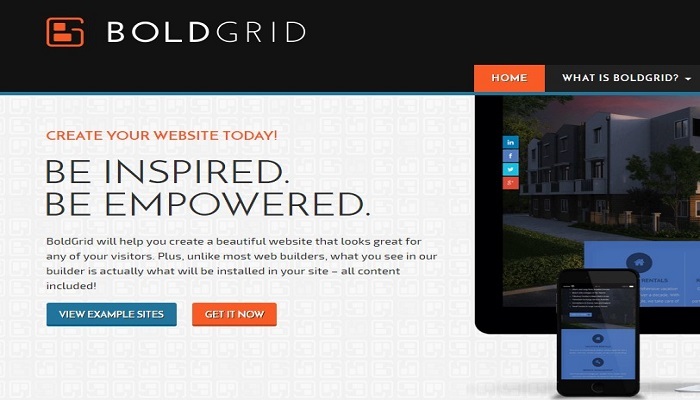 Exclusive to only this web builder and no one else, BoldGrid allows for a staging server. So, in the event that you want to change a whole page, or the whole site, you can build it out first, stage it all – then launch when it’s ready at the click of a button with no downtime. Of course, the greatest CMS platform that has revolutionized the way we blog, and present content on the internet. 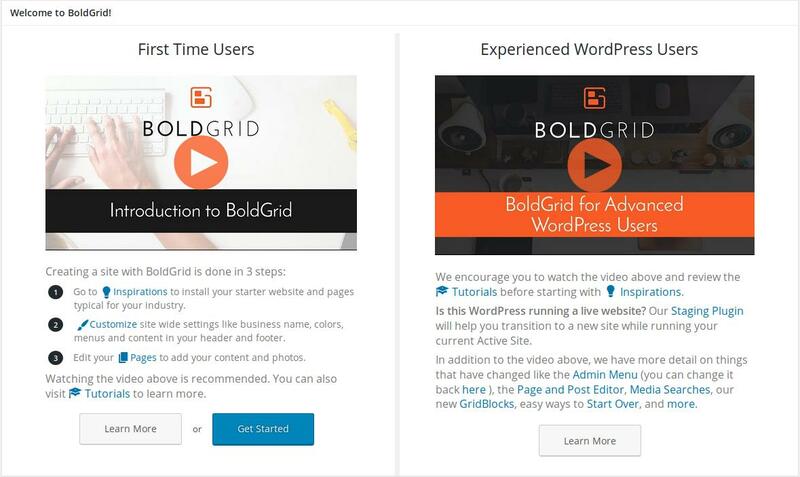 BoldGrid is FULLY integrated with WordPress – which helped us get started on our website immediately. There were too many features to list – everything from social media integration, SEO optimization tools, visitor statistics, analytics tools, and much more! I hope you like the features of BoldGrid and BoldGrid is included FREE with InMotion Business Hosting plans. You get reliable and secure hosting for your website, along with the power of customizing your site. Unlike other “free” website builders, you have complete control and ownership of your site. You can move anytime you want. 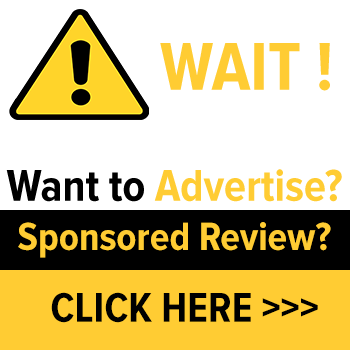 Our 90 day money-back guarantee on our hosting plans gives you additional peace of mind. And InMotion 24/7 U.S. based support is here to help you with your hosting and BoldGrid needs.